The second matchup of the Summer Bracket of the 2012 Battle of the Books has Fair Coin by E.C. Myers going against The Coldest War by Ian Tregillis. Per our contest rules, I have read the first 25 pages of both, and the winner will be the book I most want to continue reading. 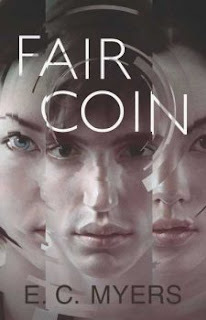 Fair Coin: Pyr Books, April 2012, 285 pages, cover illustration by Sam Weber. Fair Coin is a YA contemporary fantasy set in the Eastern USA. Fair Coin is Myers' first novel. The first 25 pages cover a little more than three chapters. Teenager Ephraim Scott comes home to find his mother passed out from vodka and pills. He calls 911. She thought Ephraim was dead, hit by a bus. The boy that died had Ephraim’s lost library card in his wallet. At the hospital, Ephraim finds a plastic bag containing the dead boy’s stuff. The wallet, keys, and watch seem oddly similar to Ephraim’s, but there are some peculiar items, including a US commemorative quarter minted in the wrong year. The next morning Ephraim goes straight from the hospital to his high school. The girl Ephraim has a crush on, Jena, spooks Ephraim by returning his library card. Now he has two identical library cards. Ephraim finds a note that appears to be in his best friend Nathan’s handwriting, although Nathan says he didn’t write it. The note reads “Make a wish and flip the coin to make it come true”. Ephraim flips the odd commemorative quarter and wishes his mom wasn’t in the hospital. Later, when Ephraim goes to the hospital, his mom isn’t there, and she wasn’t there last night either. It seems that Ephraim’s wish changed reality. 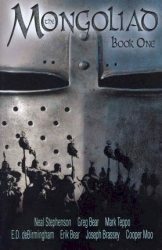 The Coldest War: Tor Books, July 2012, 251 pages, volume two of The Milkwood Triptych, cover art by Chris McGrath. The Coldest War is a fantasy / alternate history book. It’s the sequel to Bitter Seeds, which I haven’t read. The setting is a 1963 in which the Soviets control the European continent. Apparently WWII was fought secretly by British warlocks and a small group of Nazis with superhuman abilities powered by special batteries. The first 25 pages contain a prologue and about half of chapter one. The prologue contains two incidents in England. In the first, a man, who I guess is a Soviet agent, pays a deadly visit on an elderly British warlock. In the other, a junkman, who is a German secretly living in Britain, is trying to reverse engineer a battery to allow him to access his former superhuman abilities. In the first section of chapter one, Germans Gretel and Klaus are in a Russian gulag. They stole one of the batteries confiscated by the Russians at the end of WWII. Both Gretel and Klaus can use the Götterelektron and learned the Willenskräfte. Klaus uses the battery to dematerialize. Gretel can somehow see the future and plan accordingly. When the prison guards are drunk on homemade vodka, they make their escape. They hope to make it to the Paris Wall. In the second partial section of chapter one, Lord William Beauclerk (Will) and his wife Gwendolyn are having dinner in London with his older brother, Aubrey, the Duke of Aelred and his Aubrey’s wife Viola. Apparently Will is haunted by classified things he did during the war. There was a Great European Famine of ’42 which was secretly caused by British Warlocks. The Battle: The Coldest War is set in an alternate world. In Fair Coin alternate universes seem involved. Weirdly, someone getting drunk on vodka plays a part in both books. I’d be happy to continue reading either of these books. Both are readable and interesting. Unfortunately, Battle of the Books forces me to chose only one. In my opinion, Fair Coin accomplishes more in character development. I can feel for the characters emotionally. Ephraim is a likeable teenager. There are several nice SF references in Fair Coin, such as Ephraim finding in the dead boy’s wallet a ticket stub for the movie Neuromancer. I’m interested in where the story will go. On the other hand, I think that The Coldest War is better, more sharply, written. The scenes contain memorable, sometimes creepy, details. But I don’t feel I know the characters quite yet. There’s a load of information, and a feeling of stepping into the middle of a story, as this is book two in a series. I assume there’ll be some Cold War-like conflict. This is a very close book battle, and my decision could have easily gone either way. My verdict came down to: What haven’t I seen before? 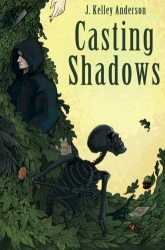 Even though I love the concept of alternate realities, where Fair Coin seems to be heading, I’ve read a variety of such tales. The same goes for magical wishes. Superhumans powered by batteries, that to me seems strange and different. The Coldest War will advance to meet Faith by John Love in the second round. To my tastes, the novelette category consists of four good stories and one great one. Starting with the good, Paul Cornell's "The Copenhagen Interpretation" is a fun romp through a distinctive alternate history with some interesting speculations. It's the same setting as his prior Hugo nominee "One of Our Bastards Is Missing." Neither story struck me as having the depth I look for in a Hugo winner, but it also doesn't strike me that Cornell was shooting for that. He was just telling an entertaining story, and I can hardly blame him if people responded well enough to put it on the Hugo ballot. Geoff Ryman's "What We Found" and Rachel Swirsky's "Fields of Gold" each ran into the same unfair problem——the authors have set my expectations unreasonably high. "What We Found" and "Fields of Gold" are both very nicely written, but I couldn't help feeling disappointed that they weren't quite so amazing as "Pol Pot's Beautiful Daughter" or "The Lady Who Plucked Red Flowers Beneath the Queen's Window." Serves them both right for being so bloody good. "Six Months, Three Days" by Charlie Jane Anders is a very clever piece. I love the interplay between the two main characters, with their two opposing forms of clairvoyance. Even if the romance aspect of the tale didn't pull me in quite as much as I might have liked, it's still a memorable story. 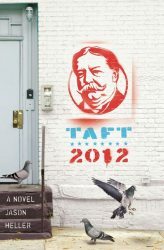 My hands-down choice for best novelette of 2011 (from the day I first read it) is "Ray of Light" by Brad R. Torgersen. (And I'm not saying that just because Brad was so nice to all us new Writers of the Future kids last year.) "Ray of Light" is an engaging story with an emotionally charged ending. At the same time, it's a wonderful counterpoint to the dismal tone of so much of the current science fiction and fantasy field. 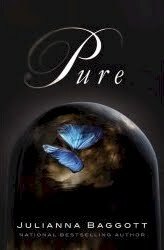 Brad takes a bleak premise and turns it into an uplifting reading experience. Great work! The first matchup of the Summer Bracket of the 2012 Battle of the Books pits Faith by John Love against My Vacation in Hell by Gene Twaronite. 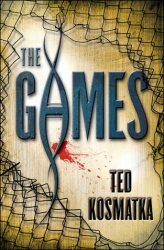 Per our contest rules, I have read the first 25 pages of both, and the winner will be the book I most want to continue reading. Faith: Night Shade Books trade paperback, January 2012, 373 pages, cover art by Adam Paquette. John Love is a new British author. Faith, his first novel, is a science fiction space opera. The first 25 pages features two encounters with the mysterious spaceship called Faith. After a patrolling warship is destroyed by the ship Faith, Weapons Officer Sarabt, a Sakhran, an alien humanoid with claws, is the sole survivor of a crashed lifeboat on the desert planet of Bast 3. He is mortally wounded and pregnant. Yes, he not she. He hopes to communicate the need to stop Faith to his fellow Sakhran officer on the Commonwealth's Outsider class ship Charles Manson. Hundreds of years earlier Faith devastated Sakhran space. Elsewhere, in another solar system, there are malfunctions in the remote guidance of a long convoy of space freighters approaching the moon of Anubis 4. Captain Copeland of the Wulf, who is escorting the convoy, rightly fears the ship Faith is causing the malfunctions. Copeland is forced to vaporize some of the unmanned freighters he's escorting to prevent a crashlanding. 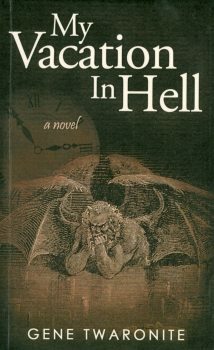 My Vacation in Hell: self-published, February 2012, 187 pages, cover design by Abigail Westbrook based on 1861 engraving “Lucifer, King of Hell” by Gustave Dore. My Vacation in Hell is a darkly humorous young adult fantasy. It’s a sequel to Gene Twaronite’s earlier middle grade novel, The Family That Wasn't. The first 25 pages cover a little more than four chapters. My Vacation in Hell begins with a short future chapter, a teaser, in Hell. The teenage protagonist, John Bazukas-O'Reilly-Geronimo-Giovanni-Li Choy-Echeverria, called by an acronym of his last name, John Boggle, did a book report on Dante's Inferno. Via a daydream, John takes his own a trip to hell. The scenery of hell is modernized. A subway-like station leads to a misty endless plain. The gate to hell is a down elevator where he meets his best friend and guide, not coincidentally, named Virgil. When I stopped reading, John and Virgil were traveling in hell on a Harley-Davidson motorcycle with a sidecar. A serious, somewhat disturbing, topic is included in My Vacation in Hell. When considering the people whom he’d put in hell, John Boggle mentions that "Uncle" Vinnie sexually abused him. 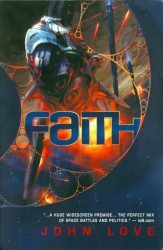 The Battle: Faith is a gritty, somewhat brutal, space opera in other solar systems. My Vacation in Hell is a chatty, sometimes humorously quirky fantasy set in the 1960s. In Faith, the first two chapters are merely prefaces to the main story. There's blood and death, plus things are blown up. The setting is futuristic, with spaceships and aliens, but I have no idea of when or where. No flashy new technology has been introduced. There's a definite feel of threat from the ship Faith. My Vacation in Hell seems like a stroll to Hell. The first person narrator, John Boggle, talks about this and that, offering up his opinions. There are some interesting sights in Hell, but there’s not much character interaction, and, so far, little sense of danger or urgency. In my opinion, the characters and their emotions feel more real in Faith than in My Vacation in Hell. Although I hope that John Boggle will resolve his abuse issues, I'd rather read about those who will fight against the seemingly invincible ship Faith. Faith will advance to meet either Fair Coin by E.C. Myers or The Coldest War by Ian Tregillis in the second round. Kudos to the folks nominating for the Hugo Awards this year. All of this year's Hugo-nominated short stories are well written, and the nominees include my two favorite short stories of 2011, either of which would be a most deserving winner. Working my way up, "The Cartographer Wasps and the Anarchist Bees" by E. Lily Yu features some beautifully constructed sentences, which are especially impressive from such a young author. But I confess I reached the end without understanding the point of the exercise. The fault may be mine as a reader, but people who nominated this piece for the Hugo plainly got something out of it that I missed. John Scalzi's "The Shadow War of the Night Dragons: Book One: The Dead City: Prologue" is a very funny parody (and I believe Scalzi ties Connie Willis for most colons in a Hugo-nominated title). I particularly love the first three sentences. I don't begrudge the story's nomination—it's not easy to write something this funny—but to me there's not enough substance for this one to win the award. "The Homecoming" by Mike Resnick is a strong tale of a father's reunion with his son, who is estranged in more than one sense. The father-son dynamic put me strongly in mind of Resnick's story "One Perfect Morning, with Jackals," which received a well-deserved Hugo nomination in 1991. That brings us to my two favorite short stories of 2011, and I'd be happy if they tied and both won the award. Forced to pick one, I'm going to make Ken Liu's "The Paper Menagerie" my #2 choice. The story is simple yet moving, presenting basic themes—an immigrant's alienation; how children often don't appreciate their parents until they're gone—in an original and powerful way. Great work by a fellow Writers of the Future winner. 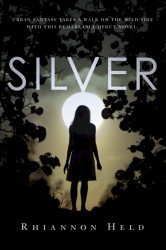 My personal favorite short story of 2011 (and it was from the time it first came out) is "Movement" by Nancy Fulda. Like "The Paper Menagerie," this is a powerful and moving tale, with the added element that it successfully tells the story from a nearly-alien point of view. 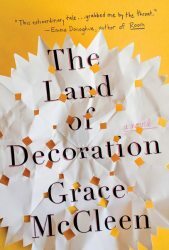 Most impressively, Fulda uses her protagonist's condition to craft the story's sad and poignant ending. This is a unique and outstanding piece. James Renner's The Man from Primrose Lane is in the record books as our Spring 2012 champion, but the review copies keep pouring in, so . . . Welcome to the Summer 2012 Fantastic Reviews Battle of the Books! Aaron reviewed and judged the Winter and Spring brackets of Battle of the Books. Now he hands the baton to Amy to review and judge the Summer 2012 of Battle of the Books. -- By my best count, 4 of the books are science fiction or space opera, 3 are high fantasy, 4 are contemporary or urban fantasy, 2 are military fantasy, 2 are satires of sorts, and 1 is a fantasy/alternate history. -- The field includes 10 books by men, 5 books by women, and 1 book by a group of 7 authors, almost all men. -- This bracket includes 3 books from Tor, 3 from Pyr, and 1 each from Del Rey, Henry Holt, Night Shade, Solaris, 47North, Grand Central, World Castle, Quirk, AAA Reality Games and a self-published book. 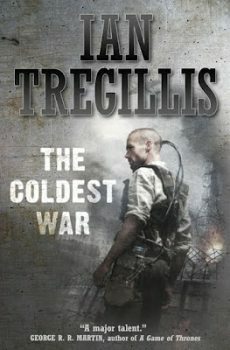 -- Only 2 of the books seem to be sequels: Ian Tregillis's The Coldest War and Mark Chadbourn's The Destroyer of Worlds. This concludes the Fantastic Reviews Spring 2012 Battle of the Books. Hope you enjoyed it! Congratulations to The Man from Primrose Lane by James Renner, winner of our Spring Bracket of the 2012 Battle of the Books! Let's give a round of applause for all the participating books! Sixteen (16) new books were featured. These books and authors may be new to you, but after reading Aaron's descriptions and battle reviews, I hope some of these books sparked your interest. There were a wide variety of books. I know that I, Amy, saw books that I'd like to read. Book battles were decided on reading a sample of the book, many based on reading only 25 pages or 50 pages. So, given this format, if a book starts slow, it may have an uphill battle. And, of course, each judgment was subjective, based on which book the reviewer, Aaron, decided he'd rather continue reading. All these books are now available. Listed below are all the books in the Spring 2012 bracket, sorted alphabetically by author. Click on the book title links to go that book's most recent book battle. This week we'll be announcing the bracket for the Summer 2012 Battle of the Books which I, Amy, will be judging, giving Aaron a little break. I'll be deciding book battles based on which books I most want to continue reading. The books I select as battle winners may or may not be what Aaron would have chosen. Stay tuned! The championship of the Spring 2012 Fantastic Reviews Battle of the Books comes down to The Night Sessions by Ken MacLeod against The Man from Primrose Lane by James Renner. For the finals, I've read through page 200 of both books, and our winner will be the book I most want to read to the end. The Night Sessions: Pyr trade paperback, April 2012, 261 pages, cover art by Stephan Martiniere. 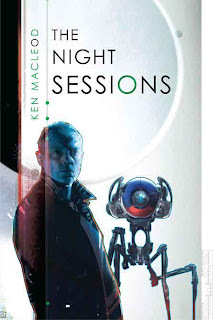 Ken MacLeod is a four-time Hugo nominee among other honors, including a 2009 British Science Fiction Award for The Night Sessions, when it was originally published in England. The Night Sessions was one of our four seeded books for the Spring Battle of the Books. To make the finals, it defeated The Demi-Monde: Winter by Rod Rees in the first round then Simon Bestwick's The Faceless in the second round and finally Hell Train by Christopher Fowler in the semifinals. The Night Sessions is set in a future where Western governments have all become strictly secular, as a reaction to the bloody "Faith Wars," and surviving organized religions are barely tolerated. 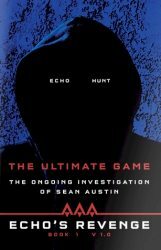 The story centers on the investigation by Scottish Detective Inspector Adam Ferguson and his leki (robot) assistant of the murders of two Catholic priests, possibly victims of a terrorist conspiracy. We also get glimpses of J.R. Campbell, a Christian fundamentalist from New Zealand, who works with humanoid robots (as opposed to the mechanical-looking lekis), which seem to have some connection to the criminal conspiracy Ferguson is investigating. The Man from Primrose Lane: Farrar Straus & Giroux hardcover, March 2012, 365 pages, cover photo by Michael Lewis. James Renner is a true-crime writer, making his debut as a novelist with The Man from Primrose Lane. It got here by beating Weston Ochse's Blood Ocean in the first round, then pulling two straight upsets over seeded books, Saladin Ahmed's Throne of the Crescent Moon in the second round and The Flame Alphabet by Ben Marcus in the semifinals. Renner will need to defy the oddsmakers a third time in the finals to win the championship. The hero of The Man from Primrose Lane is crime writer David Neff, a single father after his wife's suicide, who is investigating the murder of the reclusive Man from Primrose Lane (the "MFPL"). In a series of seemingly bizarre coincidences, we learn that years earlier the MFPL saved David's wife Elizabeth from abduction as a child (but he couldn't save Elizabeth's twin sister) and he also once saved David's current romantic interest Katy, whom the MFPL had been following obsessively until his death. Even more unlikely, David's fame and fortune came from his previous cold case investigation of another child abduction, and now David himself has become the main suspect in the police investigation of the death of the MFPL. And yes, the book also has science fiction, fantasy, and horror elements. We'll get to that. The Battle: I've often compared the Battle of the Books to the March Madness basketball tournament. I meant that we set the Battle up in a bracket format like the NCAA Tournament. I didn't realize until this championship match how apt the comparison really is. In this championship battle, The Night Sessions pulled out to a comfortable lead, only to see The Man from Primrose Lane make a spirited late comeback, culminating in a desperate long shot at the buzzer. The shot is up, it'll count if it goes, does it have the distance? . . . Through page 200, The Night Sessions continues to be a solid, well-executed near-future science fiction mystery. Giving the protagonist detective a robot sidekick invites comparisons to The Caves of Steel and The Naked Sun, and if this book isn't quite as memorable as Asimov at his best, it's not far off. The mystery is handled well, there's plenty of cool near-future techy furniture, and MacLeod does a nice job of thinking through the implications and difficulties of the transition from a religious to a secular society. The crowning touch is the artificially intelligent robots, who are most interesting and, to my tastes, very funny. So I resumed The Man from Primrose Lane at page 100, with the bar set high. But MacLeod left one opening for James Renner: The Night Sessions does not feature characterization as strong as that in the first 100 pages of The Man from Primrose Lane. So what happened when I read through page 200 of Renner's book? The tricky part of writing a cross-genre book is that you have different audiences with different expectations and backgrounds. Early in the second hundred pages of The Man from Primrose Lane, Renner brings in a science fictional element that I think most science fiction readers will find disappointing. 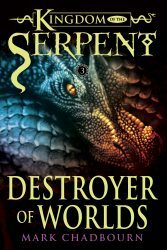 But then right at the close of the first 200 pages, he hits us with another SF/F story element that works very well. Whatever your usual reading tastes, this is good stuff. To explain further, I'll have to discuss some of these plot twists. If you trust my recommendation and plan to read The Man from Primrose Lane, you may prefer to skip below to "END SPOILERS." Science fiction readers can probably safely pass through my first spoiler alert. But continue through the double-spoiler alert at your own peril. 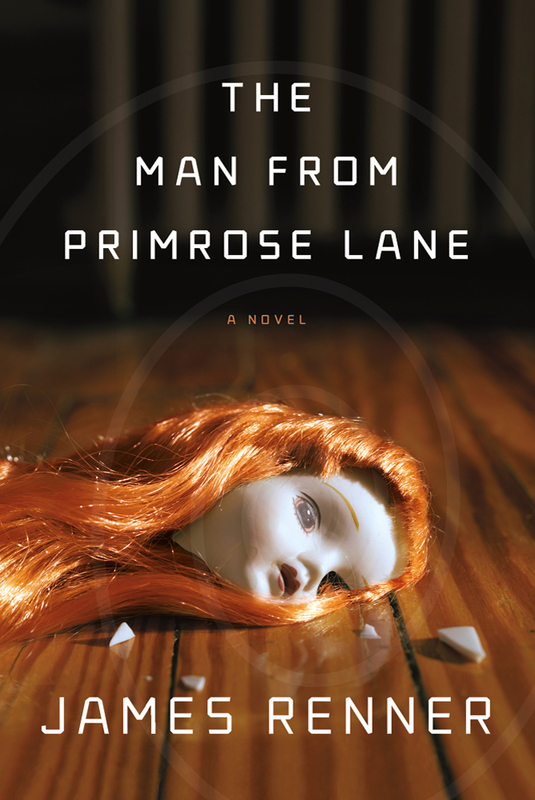 The Man from Primrose Lane sets up a number of strange, seemingly inexplicable mysteries, including who was the peculiar Man from Primrose Lane, why did he always wear mittens, and why are there so many connections between the MFPL and our protagonist David, his late wife Elizabeth, and his current girlfriend Katy? Then at pages 109-128, we get two short scenes that, unintentionally I think, give away the answers to all these questions to most SF fans. One is a passing reference to David interviewing a physicist doing work that would allow objects to pass backwards through time. The other is a scene with a kid in 1985 who sees a strange frog-creature. The scene ends with the line, "He should have blamed a writer named David Neff." But David Neff was himself a little kid at that time, not yet a writer. It is still possible to write a fresh time travel story (I took a stab at it myself, with my story "Random Fire" in Abyss & Apex), but it's not possible to impress science fiction readers by the mere fact that strange happenings are explained by time travel. For Renner to construct his mysteries around this device is like a magician using his impressive stage presence to build up to the final trick of . . . pulling a rabbit out of his hat. It's cool only if you've never seen a magic show before. So even though The Man from Primrose Lane is well written, with powerful characterization, I read most of the second hundred pages feeling disappointed. After 150 pages, The Night Sessions was going to win this battle. Even after 200 pages, The Night Sessions was going to win. But 200 pages ended in the middle of a scene, and the Battle of the Books rules allow me to finish the scene. And all my perceptions changed. 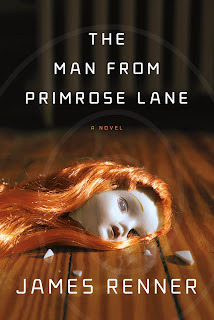 Much of the second hundred pages of The Man from Primrose Lane consists of flashbacks to the past, when David became obsessed with his investigation of past child abductions and murders, so obsessed that he starts to imagine the voice of one of the pedophiles in his head. Meanwhile, in present-day scenes, David is battling through withdrawal, because for the first time since Elizabeth died he has stopped taking his medication for depression. Right at 200 pages we get a flashback that I won't reveal except to say it makes us realize that voice in David's head is not imagined—it is a real, evil presence, which is behind a lot of what's been going on, and which now has designs on Elizabeth. Maybe some horror readers guessed that while I was still assuming the voice in David's head was imaginary, but didn't get the time travel part of the story when I did. Suddenly I don't mind figuring out one aspect of the story early on, when another aspect completely blind-sided me. And that new aspect immediately adds a layer of irony to much of what's happened. For example, I assumed David started taking his medication after Elizabeth died, but now realize he took it before she died, to try to control what he thinks is his own dark side. Yet sadly she ended up committing suicide anyway, or at least, so we've been told . . .
Now I'm right back in the saddle with this story, and it's a story that was already peopled with compelling characters. I find The Night Sessions very interesting intellectually, but The Man from Primrose Lane is the story I care about on an emotional level. No way would I willingly put it down. Congratulations to James Renner, who becomes our second Battle of the Books winner, after Elizabeth Bear. We will feature The Man from Primrose Lane in a full review at Fantastic Reviews, and we will also try to arrange an interview with Renner. Stay tuned for the Summer Bracket of the Fantastic Reviews Battle of the Books, which we will announce in the next few days. I (Aaron) will hand off the judging for that one to my fellow Fantastic Reviewer Amy, and then I will return for the following bracket.